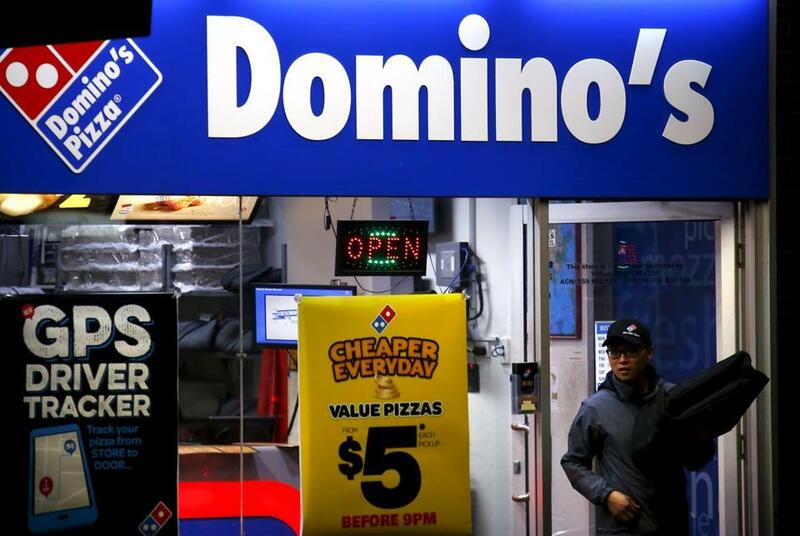 A Boston pizza delivery man has filed a class-action lawsuit against Domino’s, claiming that its $2.50 delivery fee isn’t explained to customers and deprives drivers of tips. Atila Adolfo Tigges filed suit against Domino’s Pizza, Inc., a local franchisee, and affiliated companies on Thursday, claiming that he and other drivers have been underpaid because consumers believe the delivery fee -- which varies by location -- counts as a tip. It’s at least the fourth lawsuit against Domino’s to make the claim. Tigges, a Framingham resident who said he delivered for Domino’s from 2008 to 2013, claimed the company buries delivery fee details in fine print under a section marked “LEGAL STUFF” when customers order online and doesn’t mention it at all when they call an order in. He claimed that violates state tipping laws, and also alleged the company wasn’t meeting the minimum wage requirements for tipped employees. At least three similar cases have been filed in Massachusetts. One case filed by driver Eduardo Carpaneda against many of the same defendants was settled for $19,500 before it went to trial. Earlier this year, a judge ordered the Domino’s defendants to pay an additional $41,000 in attorneys’ fees. Another case was filed by driver Marilia Prinholato, who accepted a settlement of $46,500 plus attorneys fees. A third case, filed by driver Edione Lisandro, is about to go to trial. The same law firm, Fair Work P.C., represented the drivers in all four cases. The franchisee named in the suits, Henry Askew, also paid $15,000 in 2008 to settle allegations by the state attorney general that he violated state labor laws by having teenage employees work too late, according to the MetroWest Daily News. Domino’s declined to comment. In a court filing, it argued that its notifications online and printed on pizza boxes and menus passed legal muster. The company also said drivers receive a share of the fee, which is typically between $2 and $3, to cover gas and mileage, and said credit card records showed that one plaintiff still received tips on many purchases.